18700 BTU/HR of Temporary, portable spot cooling with simple set up and quiet operation, delivers 18700 BTU/HR of efficient, convenient cooling in a variety of smaller environments where larger units are too much. This can include offices, conference rooms, computer rooms, laboratories, and factory workstations. 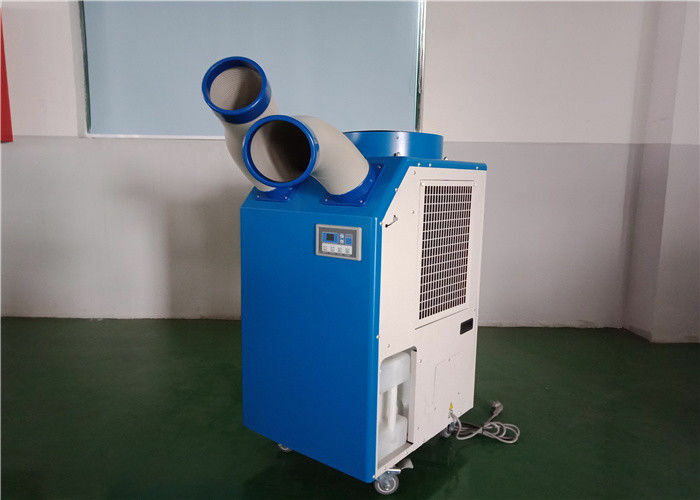 Meanwhile, the air cooled rental air conditioner units are the most universal, flexible type of portable air conditioners. Portable air conditions systems have been specifically designed to easily roll into any room or space where you need keep things -- or people -- cool and comfortable. Indeed, our self-contained portable chiller systems are easy to install and operate. -- simply roll it in, plug it in, turn it on and set the desired temperature. That’s it ! 3. Provide back up or additional cooling - to supplement the main air conditioning system during periods of abnormally high load, or during breakdowns and servicing. 4. Speed up production processes - cool finished products i.e. 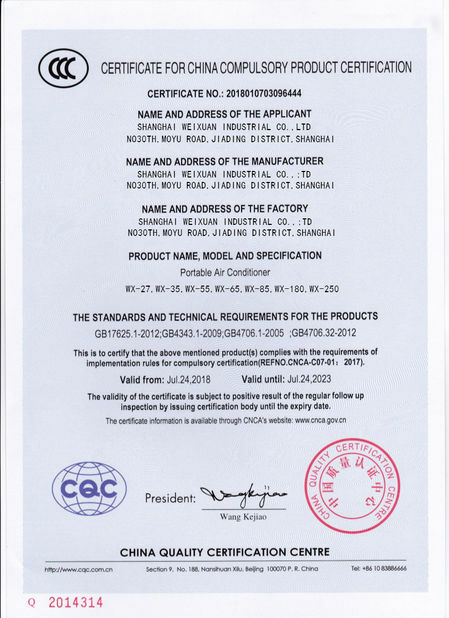 castings, mouldings etc. 1. spot/cool button: activates compressor and begins producing cool air 5 seconds after button is pressed. regulates temperature based on outlet cool air temperature. 2. room/cool button: activates compressor and produces cool air 5 seconds after button is pressed. regulates temperature based on inlet ambient air temperature. 3. set temp buttons: change target temperature/data value by +/- 1. change data value by +/- 10 by pressing continually. press the set temp buttons to set temperature. upper button is to heighten temperature and lower button is to lower temperture. 4. alarm: alarm indicator lights (blinks) and indicates abnormal system operation. if alarm occurs, compressor stops.system operation stops when alarm light is activated (blinks) longer than 3 minutes. 5. target temp: displays the unit set temperature for room/cool mode only.